If you type “how to get my business noticed on the internet” you will find a huge amount of companies out there wanting to take your money in return for their expertise in getting your website noticed, increasing traffic and ensuring that you have lots of work coming your way. You will see search engine optimisation companies (SEO), Google Ad Word specialists, pay per click specialists who cover all types of advertising, specialist internet marketing companies and those who practice the dark arts of underhand and fairly devious website promotion. All of these cost considerable amounts of money and the dark arts option also incurs a significant amount of risk of damage to your businesses if you ever get caught by Google or the other search engines. Google Ad Words and pay per click companies are basically taking your money, peeling off a percentage and doing a job that you could have done yourself quite easily as advertising your website online via these platforms is a relatively straightforward if not costly affair. Search engine optimisation used to be the best way of getting your website noticed online. There are all sorts of things that you can do to your website, including making sure that all your pictures have what are called ALT tags, at least one heading per page with your key words in it (for example so for our company the word ‘transcription’ in as many headings as possible), ensuring that you have got lots of keywords all the same in paragraphs throughout your website, making sure lots of other sites are linking to you so that Google sees what a fine and reputable website you have, increasing traffic by increasing awareness of your website, and finally collecting as many reviews as possible. Setting up Google My Business is also a very worthwhile exercise because quite often Google will display this if anybody searches for your type of business in your immediate area. All of this is great, and in years gone by this is pretty much all you needed to do. Websites used to get to the top of the search engine rankings without very much content at all, but making sure they had followed all the various hints and tips that Google and others used to give out on a regular basis so that people could tweak their websites to gain maximum exposure. This is all no longer the case. Basically search engines, and in particular Google, got too big for their boots and decided to make search engine optimisation so additionally complicated that the truth of the matter is, most companies and so called experts have absolutely no idea how to get your website up the charts in its current format, without doing a substantial amount of work. If you don’t believe me, try doing a search for a holiday cottage in the Cotswolds. The first page and the second page will be pretty much full up with one or two of the huge travel company website links to their platforms. Why? Because they are huge companies with massive websites and Google likes dealing with huge companies and massive websites.The smaller businesses are squeezed out. You may think at this point ‘well what’s the point in carrying on reading this article, and in particular why on earth would I want to blog if no-one is ever going to read it?’. It is perfectly possible that no-one is going to read most of your blog – I don’t expect that many people to get to this stage in this article once it is published, but that is not the main point of writing articles. Take Back Control – Blog! The one thing that you can do on your website yourself that will have a huge impact on the online presence of your business and increase the amount of visitors to your website, amount of work you get and the level of new business and enquiries you receive can be dramatically boosted by blogging. To put it in its simplest form, blogging is simply talking about you, your business and anything else you can think of. This content goes on to your website in posts and gets picked up by search engines hungry for information. The internet is a goldmine for anyone looking for information. Information is key, even if knowledge is supposed to be, because in reality most people searching on the internet do not want to increase their knowledge, they simple require information on how to do something or information about how to get hold of a particular service or type of product. If somebody types in to Google “best plumbers in Wolverhampton”, Google will go off and search for this phrase. They will find it all over the internet as there are lots and lots of websites out there built to capture this type of search, including Yell.com, checkatrade.com and lots of other larger websites and directories. You are never going to compete with these websites and that is not the purpose of blogging. The purpose of blogging is that if somebody types in “the best plumber in Wolverhampton” and you have written an article on it, then somewhere in the search engine listings at some point in the future your article will appear. It may never get read and no-one may notice it, but Google will give you “SEO juice” for having written an article on the subject, and at some point someone somewhere is going to type in something to do with plumbers in Wolverhampton, and your website is going to come up. It may have taken you 5 minutes to dictate the article about the best plumber in Wolverhampton, and it may have cost you about £5 to get the article typed up by a transcription company such as www.tptranscription.co.uk, but you may gain a client just off the back of that one article who sends you thousands of pounds of work. Better still, if you have written a whole vast of articles about why you are the best plumber in Wolverhampton, problems that plumbers face in Wolverhampton, difficulties in recruiting apprentices for plumbers in Wolverhampton, political issues surrounding the current day to day environment of a plumber in Wolverhampton, the art of sourcing a good boiler technician in Wolverhampton, an example of good business practice such as an emergency response for a leaking cold water tap in Wolverhampton, and lots and lots and lots besides you will find that Google and other search engines start to recognise your website as being a valuable source of information for their visitors and you slowly create a very valuable internet presence. To give you a very quick example as to how blogging works in practice, my oil boiler recently packed up. The override switch came on and if you tried to get the boiler started there was a load of smoke coming out the front of the boiler. Doing a repair on something like this is well beyond my level of knowledge, even with lots of YouTube videos showing how to strip the boiler down! I immediately went online to find a boiler technician. This was much harder than it used to be because in days gone by I would simply open the Yellow Pages, pick an advert I liked the look of and give a tradesman a ring. Unfortunately this is no longer possible and the Yell.com website is not particularly easily navigable, the vast majority of tradesmen on it have very poor information and don’t really give you enough information to be able to decide if somebody is able to deal with emergencies like this. Fortunately there was a heating engineer based in Wrexham near to where I live who had his own website, a string of reviews, he had set up Google My Business, he had emergency numbers all over the internet, and there were copious examples of people who had received exemplary service off him in similar situations to the one we found ourselves in. I sent him a text at 7:30am explaining I had a problem and could he help, and he texted me back 10 minutes later to say that he would be round that morning to have a look. He arrived when he said he could, explaining that he’d realised we were in a panic so he had given us priority over others, fixed the problem and charged us the sort of figure I would expect to pay for an emergency call out (painful but gratefully paid). There were literally fifty heating engineers within 30 miles of my home, but I chose this particular heating engineer because he had gone to the trouble of making sure he appeared everywhere all over the internet and all the information I needed to choose him was there. He had satisfied customers, a website that worked, information about his work, his business, advice on problems, social media that was updated, reviews on all the various pages, and he was to all intents and purposes extremely accessible. But how on earth do you find the time to add Content to your Website? By using this simple trick. It takes 5 minutes of your time, doesn’t cost anything and uses very little brain power. If that heating engineer left our house, switched on the voice recorder on his smart phone and spoke about his visit to our house – what to do if you have smoke coming out of your boiler, what steps he had taken to repair it, what issues arise, what type of boiler he had been working on, how much he had charged, how he had juggled his work around to fit us in, what the rest of his day was going to be like. Really anything and everything he could think of. That is what blogging is all about. By the time he had reached his next job, he could have a page of content for his website. Google lap this content up and he would be rapidly heading up the search engine charts at high speed. This is how SEO juice works. And every business can benefit from a business blog and making sure they have lots and lots of information about their services, their clients, and their business so that customers can make an informed decision, and the search engines can find them. How do you turn your recordings into content? Its so easy. Open your voice recorder, record your content, press stop. Save your recording onto your phone and click the button below and select “email”. Type “anna@tptranscription.co.uk” and click send. Our company, TP Transcription Limited, will turn your recording into content for your website. If you give us your log in details we can even post the article straight onto your website. But what can you write about, put in a blog and to increase your presence? 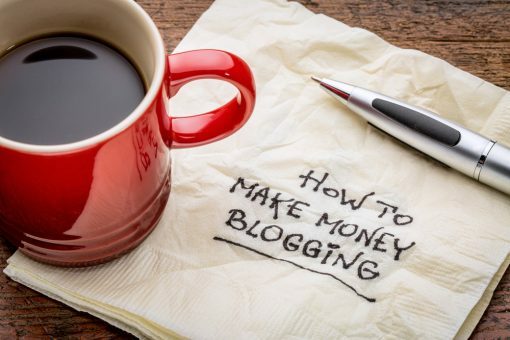 There are not many things you can do to promote your business that you can do yourself and put a shift in to increase the value of your company and website, but blogging is the main one. 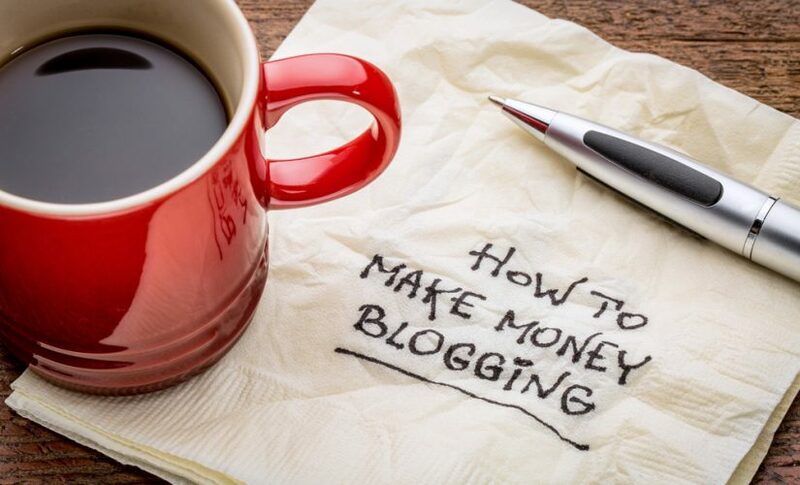 I can guarantee you now that out of a hundred people who start a business blog with good intentions, over 90% will have stopped within a week and virtually all of them will have stopped blogging within a month. It is simply a fact of life that we are all extremely busy doing lots of other things, and sitting down to write articles about your business is not something that instantly springs to mind, particularly because you cannot see an instant reward from it, it instead drip feeds into your business. Looking for subjects to write about? Have a look on our website for ideas. This is why a service like TP Transcription, enabling you to dictate your blog entries into your phone and get them turned into articles for your website and social media, is key to getting ahead of your competitors. We know that your competitors will not be writing articles for their website. Nobody ever does and that is why most websites are usually only good for getting telephone numbers or email addresses from, because so few people actually make any effort at all to look after them. By using TP Transcription’s revolutionary service we can virtually guarantee you an increased online presence and traffic to your website. Give us a ring or drop us an email today and let us tell you all about it. 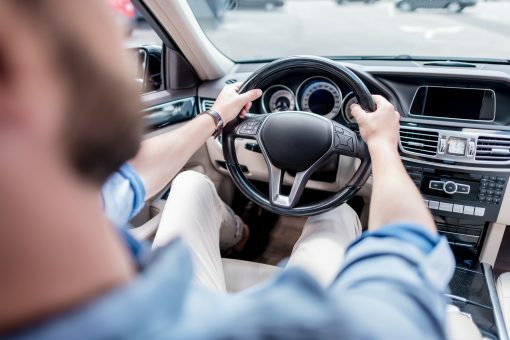 The easiest way to get going is simply to press the voice recorder app on your phone, think about something you can write about (the easiest thing is to tell us about yourself in the first instance). Stop recording, press the email button and send your recording to anna.gresty@tptranscription.co.uk. We will transcribe your recording for you and tell you how to set up a blog page on your website. We can even do this for you. Contact us today to get ahead of your competition. Previous Post Transcription – what is it and how much does it cost?